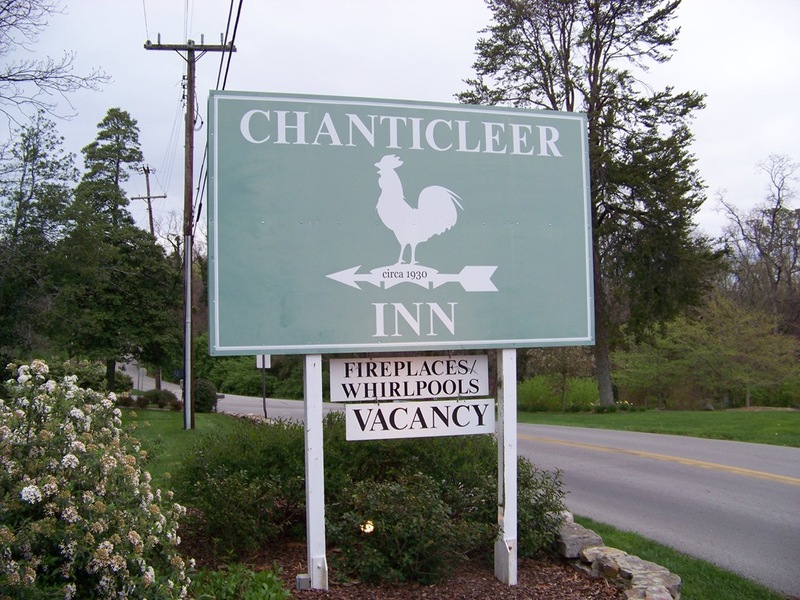 That evening, we checked in at the Chanticleer Inn, which sits atop Lookout Mountain in Georgia. You actually cross the state line from Tennessee on your way up the winding mountain road to the inn. The inn is a bed-and-breakfast-style retreat run by a couple of locals who are friendly and welcoming. The room itself featured a spacious bedroom with a color TV and DVD player, a closet, and a bathroom with a small whirlpool tub. Rates are comparable to fancy hotels in the area but I greatly preferred this accommodation to the Marriott where we spent the previous night. The top of the mountain is quiet and beautiful. The inn is surrounded by homes that are modest but charming and probably cost a small fortune. There is a Starbucks just a block down the road from the inn, so I went several times during our stay to get expensive coffee for Angie; she loved that. Across the street from the Starbucks is one of the two really touristy things we did on this trip: Rock City. Rock City was developed into a large walk-through rock garden by landowners Frieda and Garnet Carter in the 1920s and 1930s. It officially opened to the public in 1932. Coming from Louisiana, which is mostly flat, the topography here was really lovely. It doesn’t take very long to walk the path up to the Lovers’ Leap, where the site claims you can see into seven states. There is also a large waterfall near this area. We also visited Ruby Falls, a nearby underground waterfall located in the Lookout Mountain Caverns. While exploring another cave for possible exploitation as a tourist attraction in the 1920s, Leo Lambert accidentally discovered the cave containing the waterfall; because there were no natural openings to the outside and no artificial openings prior to that time, the cave today is host to very little in the way of flora and fauna. The tour takes groups of tourists down a vertical elevator shaft into the mountain and then on a trek for about a mile through the Ruby Falls Cave at the end of which is located the actual waterfall.